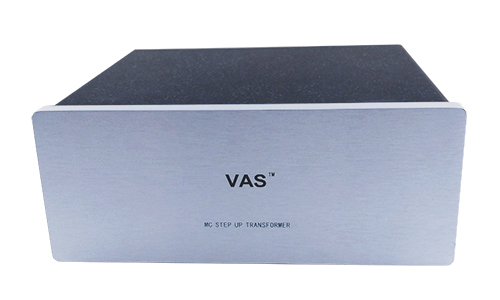 The VAS MC-One Step-Up Transformer is a simple, efficient tube driven step-up transformer. This top of the line component features point-to-point hand wiring and state-of-the-art transformer technology – all this in a new, heavy-duty chassis. The MC-One Step-up Transformer matches gain and impedance of phono cartridge. 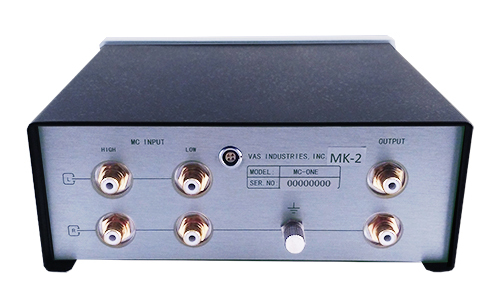 Separate input for High Impedance (100 Ohm) and Low Impedance (47 Ohm) and gold input and output jacks increased dynamic range with a dead quiet noise floor!